The Curbside Cart Collection & Recycling Program helps our community keep tonnes of material out of the landfill every year — and that helps Leduc meet its residential waste diversion targets, which means a cleaner, greener environment for us and for future generations. New utility customers receive a Sort Smart Kit when their curbside carts are delivered. 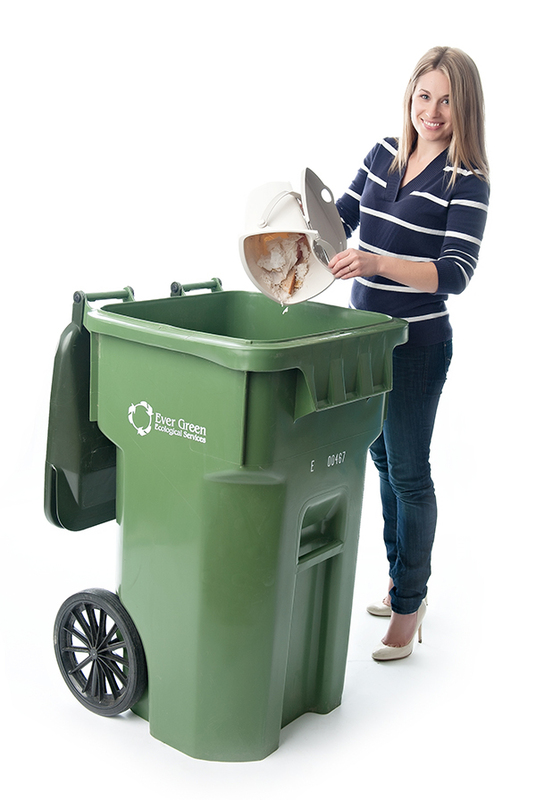 Each residential utility household is given a kitchen container, an organics cart and a waste cart – all a family needs to participate in curbside cart collection. Under the cart collection program, families continue to put recyclables into a blue bag and simply sort organics. With the significant amounts of organics collected through the curbside program, Leduc surpassed the 45% target and is now diverting 52% of its residential waste. Collecting organics keeps many tonnes of material from being landfilled. What materials are accepted in the program? Cost-effective - allowing the city to introduce organics pickup with no increase in the residential utility fee. Collection is completed more quickly. All factors save the city and taxpayer money. Your carts are designed so the automated arms on the collection trucks can grasp the sides of the carts, lift the carts over the truck and empty the material into the truck. The trucks require 1 metre clear on all sides and above each cart so the automated arm has room to manoeuvre. Carts can be emptied only if the 1 metre clear zone is observed. Curbside collection uses different trucks for each type of material. Collection starts at 7am on collection day but trucks will pick up the 2 carts and the blue bags at different times throughout the day. Collection will be complete by 7pm.